Home (pronounced 'Hume') became a studio manager at BBC radio in 1960 and moved to television in 1964, just as Children's and Women's Programmes merged to form Family Programmes, run by Doreen Stephens . Home's first television appointment was as a Research Assistant on the nascent Play School (1964-88). Home, Joy Whitby and Molly Cox developed Jackanory (1965-96), which grew out of Play School 's storytelling spot. Home was Jackanory producer for a time and, frustrated with budgetary constraints preventing the Children's Department from making live action drama, she turned director, going out on location to shoot silent film footage for stories including The Children of Green Knowe in 1966 and adding sound filming to The Witch's Daughter in 1968. This paved the way for the return of home grown drama serials on BBC Children's television. With no other staff available, Home directed serials Joe and the Gladiator (1971), Mandog (1972) and Fish (1973) until more experienced directors could be afforded by the mid-70s. Home had become executive producer of all of the department's drama output by 1975. Home was looking to start up a contemporary school drama in 1976 when Phil Redmond approached her with his Grange Hill idea. The end result aired in 1978 and was massively popular - the 27th series runs in 2004. After overseeing the teen drama Maggie (1981-82) Home left the BBC in 1981 to become Controller of Programmes South-East at TVS , new ITV franchise holder for South Coast England, and head up a Children's and Youth Department. Successes here included No 73 (ITV, 1982-88), drama serials The Haunting of Cassie Palmer (ITV, 1982) and Knights of God (ITV, 1987) and the set-up of inter-regional play anthology Dramarama (ITV, 1983-89). 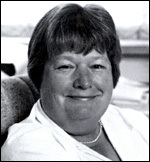 In 1986 she returned to the BBC as overall Head of Children's Programmes. Much effort went into reviving Sunday teatime 'classic' dramas, the making of four Chronicles of Narnia (BBC, 1988-90) being an obvious highlight. One of her final credits was as Executive Producer on an expensive remake of Children of the New Forest (BBC, 1998). She also commissioned Teletubbies (BBC, 1997) before her retirement in 1997. She received a BAFTA lifetime achievement award and, in 1993, an OBE. She wrote children's television history and part career memoir Into the Box of Delights in 1993. She is currently chief executive for the Children's Film and Television Foundation , helping to develop outside scripts for children's films and television. She is a board member of Screen South , Telemagination , the Polka Theatre for Children and is the Chair of both Cinemagic and Eurokidnet .